Mental health experts have warned migrant children who were separated from their parents at the U.S.-Mexico border are at risk of developing the condition known as toxic stress. 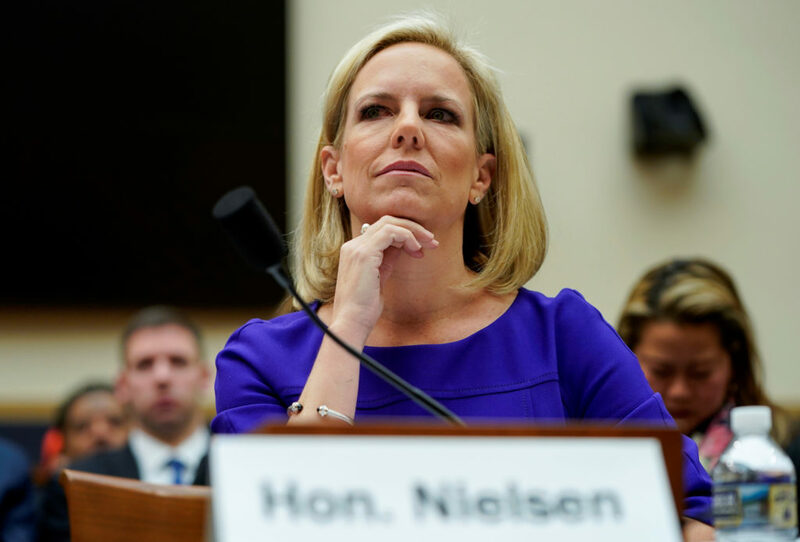 The hearing was rescheduled from February when Nielsen said she was not available to testify. The one thing the declaration does not mention specifically: a wall. President Donald Trump on Friday declared a national emergency at the southern border while acknowledging that rapid construction of a wall is not a necessity, but rather his preference. Battling with one branch of government and opening a new confrontation with another, President Donald Trump announced Friday he was declaring a national emergency to fulfill his pledge to construct a wall along the U.S.-Mexico border. President Donald Trump will sign Congress' border security compromise, Senate Majority Leader Mitch McConnell said Thursday. What’s in the massive border security and funding bill? The funding and border security bill is 1,159 pages. We have been studying the bill carefully so you don’t have to. Here are some highlights and key details.